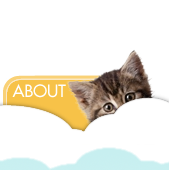 We promise to continue to provide you with the same exceptional pet care service you've had since 2000! 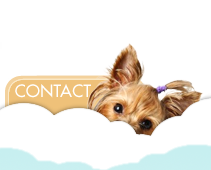 Angel Pet Sitters provides professional, reliable care for your pets, in your home, while you are away. No more worrying about not being able to spend enough quality time with your pets when you're working overtime or going on countless business trips. APS offers you peace of mind that your pets will be well taken care of, whether you are at work or out of town. 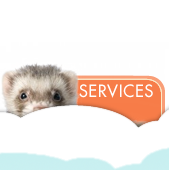 We offer services for all types of pets! Our sitters are available 365 days a year. Your pet may not do well in a boarding situation. The reasons for this are many, but can vary from noise stress (excessive barking), to fear stress (strange places), etc. If your dog hasn't been well socialized, it's not uncommon. In this case boarding your pet at a kennel, or even boarding in someone's private home, may be challenging or even impossible...especially for cats! Angel Pet Sitters overcomes these issues by caring for your pet in YOUR home. Your pet is already comfortable there, so there is less likelihood of them becoming stressed. They can eat the same food, sleep in the same bed, and have the same freedom they're accustomed to. We strive to keep our rates competitive. You will find that, especially if you have a multi-pet household, our prices can't be beat! We charge according to distance and time involved, and up to four pets are included at no additional cost. We offer 30, 45 and 60 minute visits, so you can choose the amount of attention your pet requires. Our service area is large, but there are a few locations where we cannot provide service, mainly due to logistics or low potential for clientele. Sitters must travel to your home and sometimes that means they will be departing from their home, but sometimes that means they will be traveling from another client's home. For this reason, we use predetermined zip codes to calculate distances. 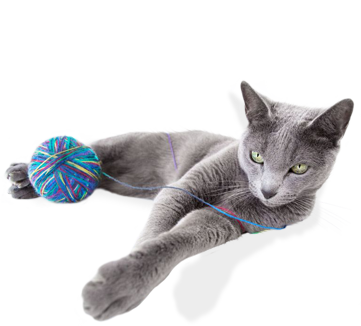 You will have a PRIMARY pet sitter to provide most of your pet care. The only time you might have another pet sitter will be if your sitter is taking time off, is unable to do some of the visits you've booked, or there has been an emergency. With only one sitter responsible for your pets, we find that there is better bonding, and no confusion when it comes to carrying out your instructions. If we have to send you another sitter, we will do our very best to arrange for you to meet the sitter in advance. We do not keep client keys. Each client is provided with a lock box (deposit required) in which to insert keys. You place the lock box on your door before you depart, and remove it when you return. 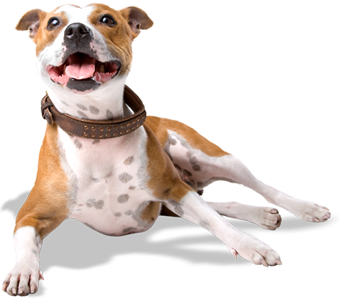 This gives controlled access to your home, adding a level of security not provided by other pet sitting services. We provide free phone consultations prior to making arrangements for your service, and there is a charge for the initial (registration) visit. If you require occasional update visits in the future (to give instructions for administering medications or for providing new pet care instructions if you have moved), these visits may involve a fee. We want to provide our clients with the best possible service. We have been providing pet sitting service longer than any other professional service in NWA! We also have the largest service area, with sitters in several locations throughout NWA. Our service is unsurpassed. Ask any of our clients, or see some of our MANY Client Testimonials! 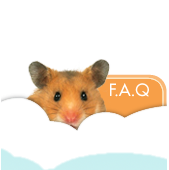 We are happy to provide references-simply ask prior to the registration visit, and the pet sitter will provide them during her visit. With so many pet care options in NWA, we realize we have to stay on top of our game. If at any time you have concerns about the quality of care your sitter is providing, we invite you to contact us directly. We also provide occasional online client surveys to give you a chance to let us know how we are performing. It's not enough for our service to be satisfactory. We want to remain the BEST! We Offer Pet Sitting, Dog Walking, House Sitting and Pet Taxi Service in Fayetteville, Springdale, Rogers, Bentonville, and limited surrounding areas.